Lychee / Litchi / Lichee is a tropical and subtropical fruit tree native to the provinces of china and now cultivated in many parts of the word. Like mangoes, chikkoo..... litchee tastes nice when eaten plain. We can make lychee ice cream, milkshakes, smoothies with this fruit. 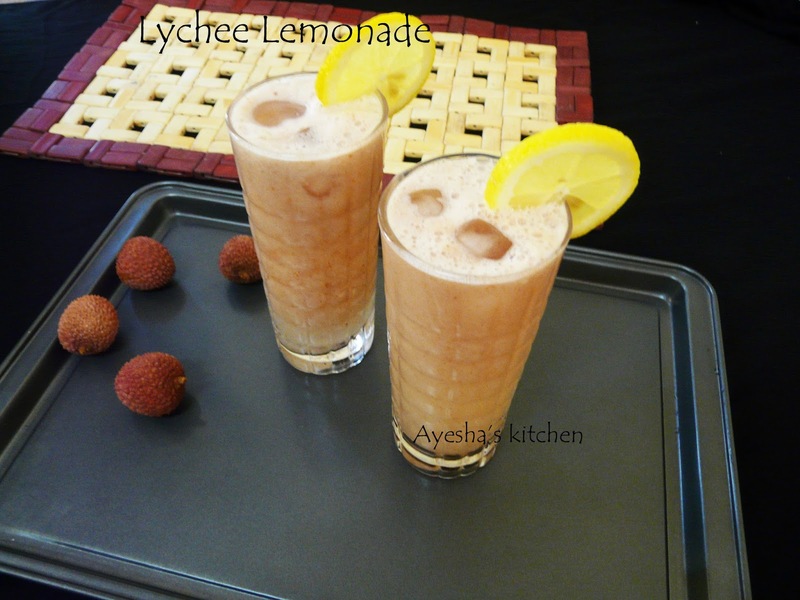 Lychee fruit drinks is ideal during summer. And the most important fact is that lychee fruit is rich in vitamin C and minerals. An average nine lychee fruit can meet an adult's daily recommended vitamin C requirement. 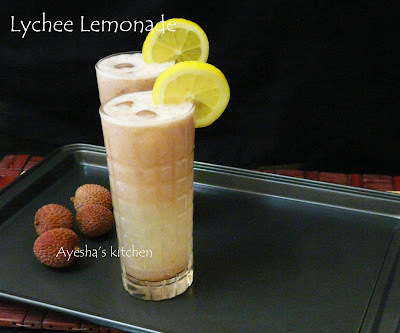 Lychee lemonade is a good treat to beat summer heat. It tastes sweet and slightly tangy with all the flavors of lemon and lychee. Here is the recipe for lychee lemonade. Remove the leathery red skin of lychee with your hand. Now take the fleshy white pulp alone discarding the seed. Grind this pulp along with sugar to a smooth puree. Pour it to a jar and add lemon juice from two medium sized lemon along with 2.5 cups of chilled water. Pour into glasses topped with ice cubes. Serve the tasty lychee lemonade immediately.